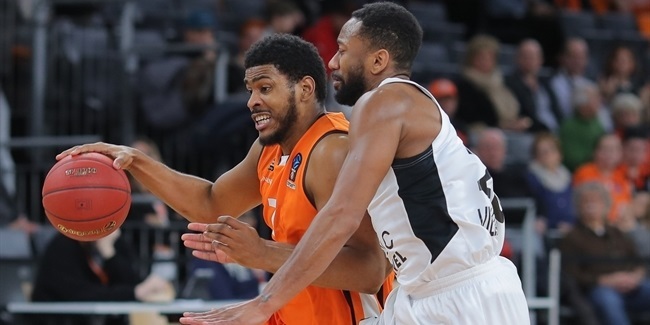 Dwayne Evans is putting together a strong first season in the 7DAYS EuroCup and he caused fits for Crvena Zvezda mts Belgrade in collecting personal bests in points, rebounds and performance index rating in a crucial home win for ratiopharm Ulm on Wednesday. The 26-year-old Evans nailed all three of his three-point attempts in scoring 23 points to go with 11 rebounds - 4 off them off the offensive glass - and 1 block in Ulm's 95-80 victory. His index rating of 31 was the fifth-best in the EuroCup for Round 6. The 2.01-meter forward caused mismatches all evening for Zvezda as the opposing big men failed to come out in time for his outside game and then he raced past them once they tried. He drained a pair of threes in the first quarter and scored 14 of his points in the first half in staking Ulm to a 17-point halftime lead, from which Zvezda never recovered. 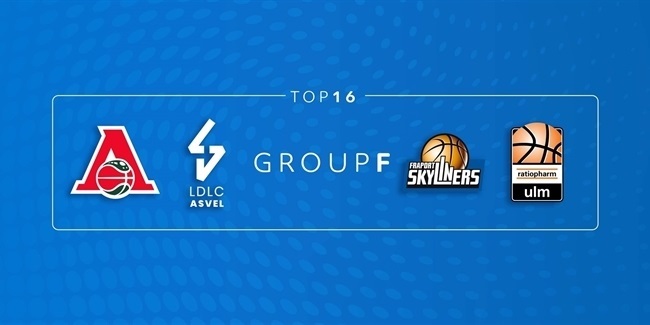 Evans's play has Ulm on a roll at 3-3 in Group A following a 1-3 start to the EuroCup season. "We started off slow this season, but these last couple of games we've been rolling. 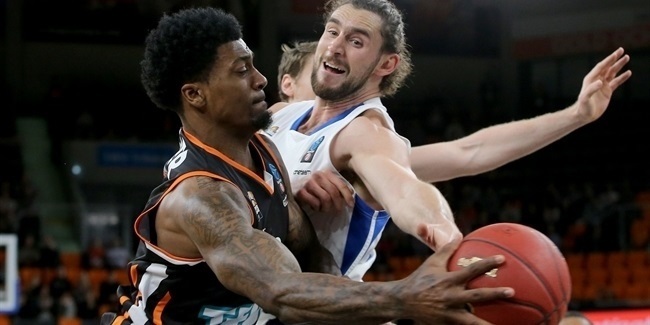 Guys started to believe and it's really positive right now," said Evans, who has climbed the ranks in Germany; playing at second division ProA side Gladiators Trier in 2015-16 before strong seasons at Giessen 46ers and Ludwigsburg the last two years. Evans is now averaging 9.5 points and has made 13 of 14 free throws (92.9%) to go with 6.7 rebounds per game this season.